The Nintendo Switch with its unique hybrid form factor that seamlessly transitions from a home console into a handheld has well and truly become a gaming phenomenon, shifting 32 million units in just under two years. The success of the Nintendo Switch has created an enormous market for accessories that cater to every need and budget. Here’s my picks of the best accessories for your Nintendo Switch that will take your gaming experience to the next level. The Nintendo Switch is an extremely well designed console, but its dock has a design flaw that over time will scratch your Switch’s screen. Its portable nature also means throwing it in your bag or just handling it day to day while on the go will inevitably lead to scratches on the screen that you simply can’t unsee or remove once there. That is why a screen protector is an absolute must. 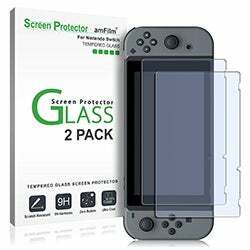 Any cheap screen protector will do, but just make sure it is made of tempered glass for maximum protection and easy installation such as this one from amFilm pictured. If you plan on doing a lot of portable gaming with the Switch, then a travel case is an essential purchase for keeping it safe and secure while on the go. Cases tend to be a subjective thing so go with a design that speaks to you. 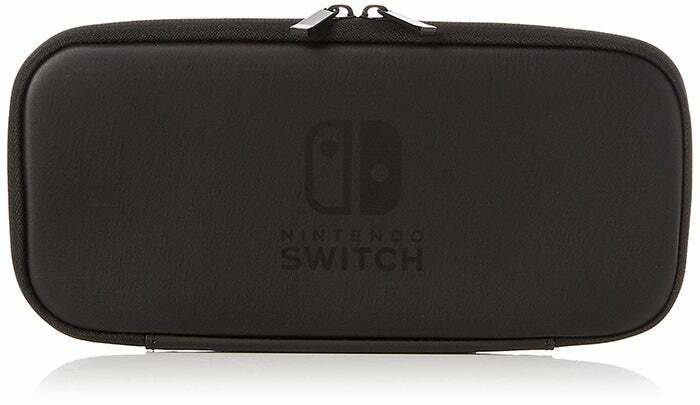 That said, the officially licensed Switch Carry Case from Nintendo is a good neutral option that allows you to store not only your console, but up to five Switch games and even includes a screen protector in the package. Regardless of whether you plan on buying physical game cards at retail or downloading your games digitally via the Nintendo eShop, you’re going to need a microSD card to store all those games. The Switch’s inbuilt 32GB of storage is woefully inadequate for storing any reasonable amount of games when you consider that titles like Doom weighs in at 24GB and the Legend of Zelda will take up around 13GB. Thankfully, the Switch supports all manner of microSD cards so you can expand the onboard storage to as much as 2TB. 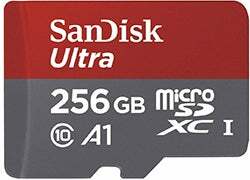 microSD cards are relatively inexpensive as well with a 64GB card retailing for under $20, while a 256GB card will set you back just $70. The best bang for buck is a 256GB card which should last you more than a few years. If you play the Switch in docked mode a lot, then a charging dock is a must own. 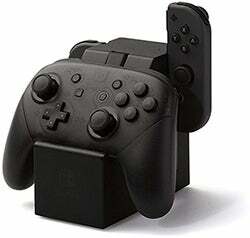 We really like this charging dock from PowerA which charges not only two Joy-Cons but a Pro Controller as well. Speaking of the Pro Controller, it is an essential purchase for anyone looking for more of a traditional gaming experience on their Switch. 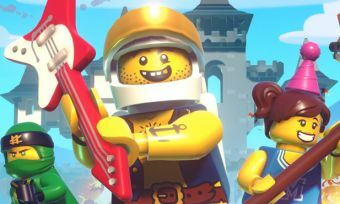 As much as we love the Switch’s bundled Joy-cons, it has some serious shortcomings that become difficult to ignore during extended play sessions. 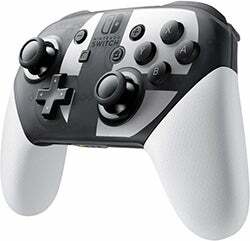 Nintendo’s Pro Controller addresses all of those issues with a taller analogue stick complete with a longer travel distance, pronounced face buttons and a proper D-pad which is essential for fighting games and practically any 2D game. The Pro Controller also happens to be one of the most comfortable controllers we’ve used on any console. The 3.5-hour battery life of the Switch can become a real problem if you use the console a lot on the go, but you can drastically extend the battery life by investing in a portable power bank. When shopping for a portable power bank, make sure it supports the USB-C PD (power delivery) standard, otherwise it won’t charge your Switch. 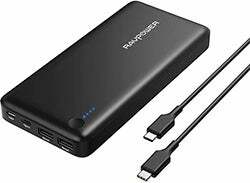 Our favourite is the RavPower Portable USB-C PD Power Bank which actually allows you to charge your Switch while you’re playing. It comes in different capacities from 10,000mAh (roughly tripling your battery life) to a whopping 26,800mAh which will give you more than 16 hours of battery life. There’s extra USB ports on the powerbank, so you can top-off other devices like smartphones and tablets as well. Fancy using the Switch in tabletop mode for on the go split screen gaming with friends? Unfortunately, the built-in kickstand on the Switch is very flimsy and it doesn’t have the clearance for plugging in a charging cable. 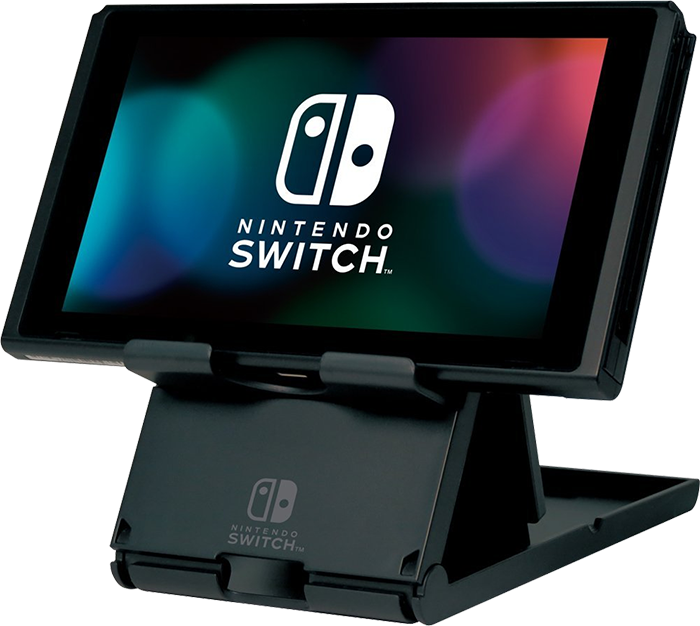 The Nintendo Switch Compact Playstand from Hori addresses this issue and offers adjustable angles while also elevating the console nicely for more comfortable gaming. It also folds up for easy portability. 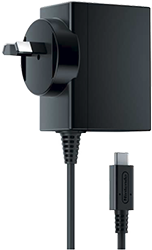 The Nintendo Switch comes with a wall charger, but since that one will be occupied by the Switch’s dock, you’re going to need to buy a second charger so you can keep the Switch juiced up while on the road or playing in handheld mode around the house. 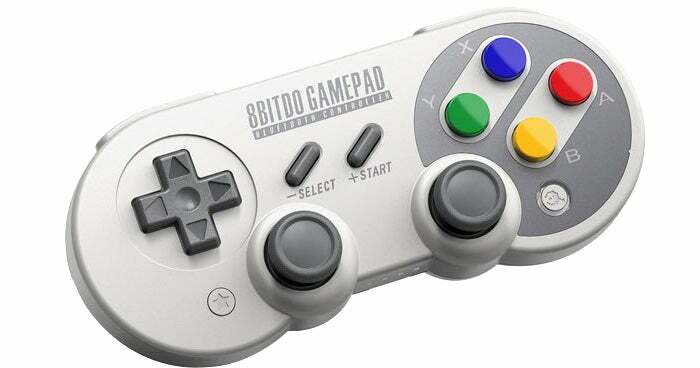 If the Nintendo’s Pro Controller is a bit too pricey, or perhaps you desire a controller that scratches that nostalgia itch, look no further than 8Bitdo’s SF30 Pro. Modelled after the classic Super Nintendo gamepad from the 90’s, the SF30 Pro has all of the buttons of Nintendo’s own Pro Controller, plus there’s rumble support and even motion controls. The buttons feel almost identical to the original Super Nintendo gamepad which is a good thing and the analogue sticks feel incredibly accurate. The only thing the SF30 Pro lacks is NFC, so you can’t scan Amiibo’s in supported games. However, it is cross compatible with your PC and smartphone, making it an incredibly versatile controller. 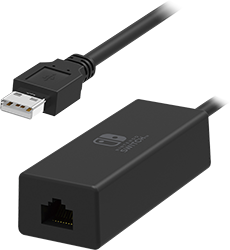 If you regularly play online with the Nintendo Switch, you’re going to want to pick up a LAN adapter. The LAN adapter connects to the USB port on the dock, giving the Switch an ethernet port for wired networking. The official one from Nintendo is pricey at $50, but the good news is that any aftermarket USB LAN adapter will work such as this $12 one from UGREEN. We found that switching from Wi-Fi to a wired connection all but eliminated the dropouts we were getting in online matches and significantly improved download speeds from the Nintendo eShop.